Stunning! 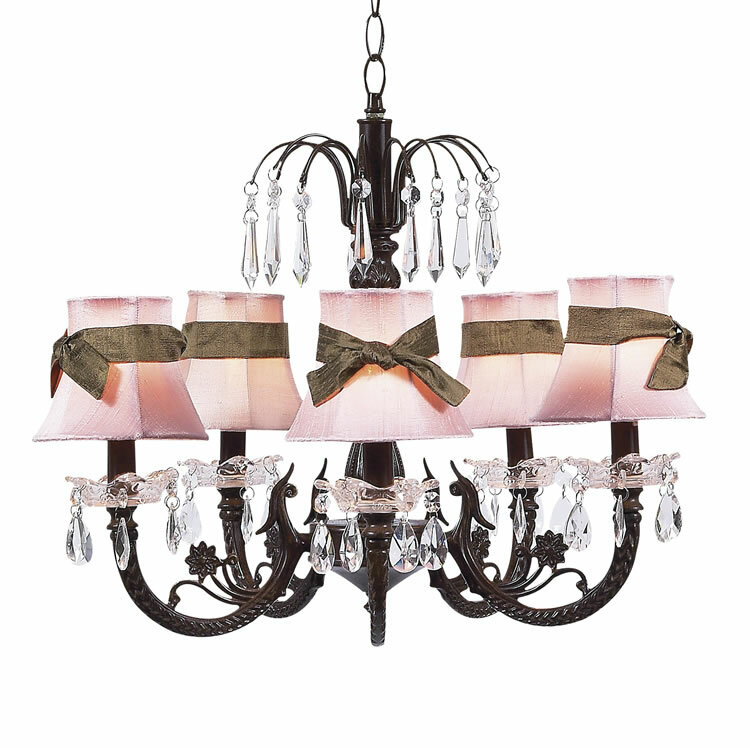 This mocha chandelier has a detailed center that gathers in a waterfall of u-drop crystals. Tear-drop crystals circle each arm of this beautiful mocha chandelier. Available as shown or without the pink shades. You may select from all children's chandelier shades. Please note that this lighting is wired for use in the U.S., Canada, and most countries in Central and South America. The designer is able to rewire fixtures for some other countries. Please contact us for options and pricing for international orders.